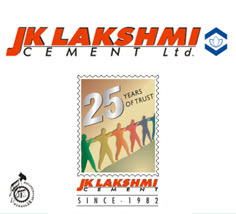 JK LAKSHMI CEMENT LIMITED has been posting stellar results for the last five quarters in a row. The nine months Cash EPS till December, 2007 stands at 43.21 as against 27.57 for the same period previous year. At current price of 171, this stock is trading at a PE of a mere 3.6!!! The fair value of this stock should be three times the current market price at least. Long term investors can look forward to targets of 500 plus in the next one year. The company has also declared an interim dividend of 10% and record date for that is 30th Jan, 2008. If ever there was an undervalued share in the stock market, this is the one. Must Buy.